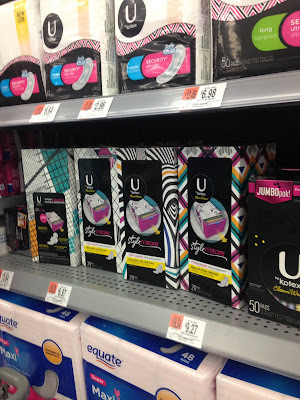 smilingrid: What Matters to U featuring U by Kotex at Walmart! 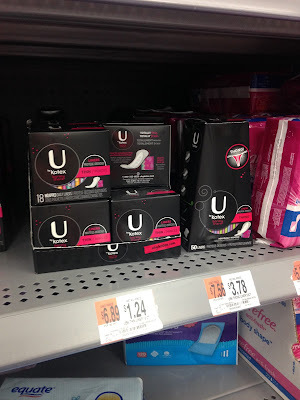 What Matters to U featuring U by Kotex at Walmart! Before I get too far into this post, I’d just like to warn my dearest great uncle (who reads every post!) that this one miiiight not be his cup of tea- here there be feminine issues! “That time of the month,” “a visit from aunt flo,” “the red wave,” whatever you call it (probably in whispers to your gal pals! ), we’ve all got our own short end of a short stick when it comes to dealing with it. It’s also always a weird thing to talk about, or type about in this case! U by Kotex® is making periods a wee bit easier… and way cuter than I ever thought possible! 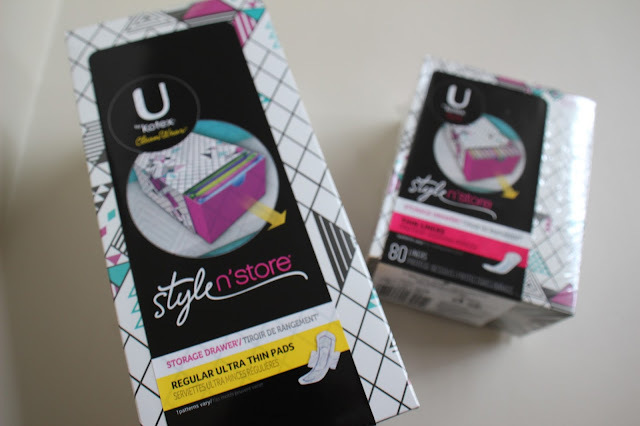 With their new everyday status at Walmart, the U by Kotex® Style N’ Store packs mean your period products don’t have to be so secretively hidden away- how adorable are these boxes? They come in 4 different patterns and colors and have a colorful drawer for easy and stylish storage. 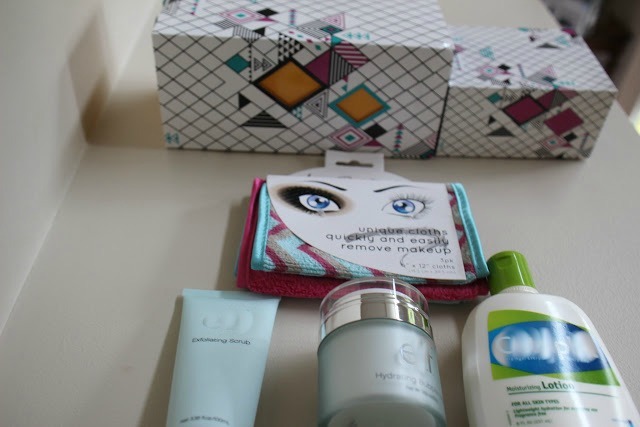 These will make awesome storage for some of my cosmetic collection once I’ve worked my way through all of these Cleanwear® Ultra Thin Pads and Barely There® Liners! The Cleanwear® Ultra Thin Pads have secure wings and soft sides to keep the crazy fast absorbing 3D Capture Core with Xpress DRI right where it needs to be! The Barely There® Liners are super thin and comfortable, made to feel like underwear. So the first are perfect for heavier days and the second just as perfect for lighter ones. Gotta love it when things work out! 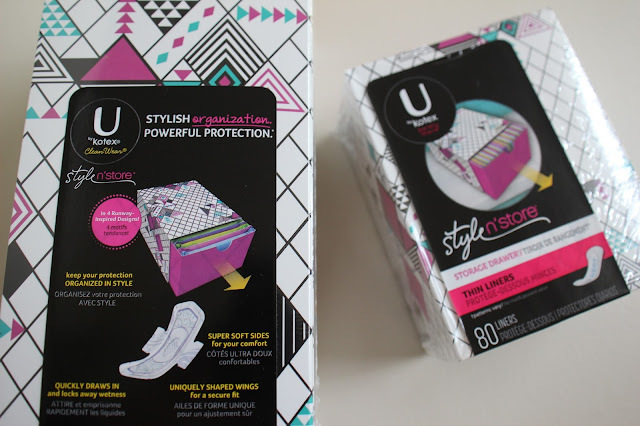 Plus, if you purchase any two packs of U by Kotex® products (feel free to mix and match, it doesn’t have to be the same as mine! ), Walmart and U by Kotex® are offering SNIPP rewards when you text “UbyKotex” and a photo of your receipt to 811811. There’s also an email version, check out UbyKotexrewards.com for all the deets and to register and pick your reward! 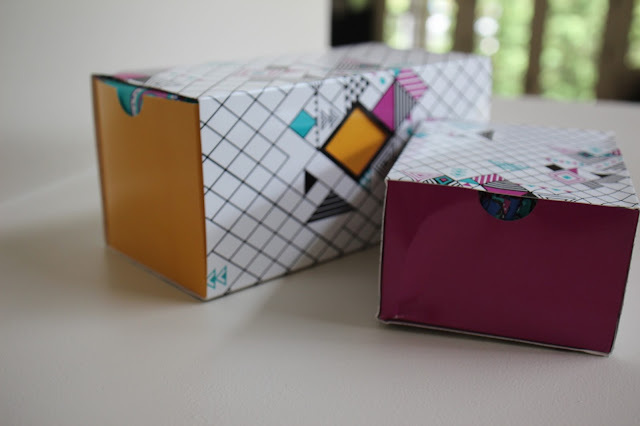 In creating these perfectly packaged pretties, U by Kotex® solved an aspect of period pains I didn’t even think on. This is a company that gets the struggle, and wants to make your day a little brighter while you’re stuck in strug city! They’re asking customers, “What Matters to U?” While you’re dealing with period symptoms, what makes you feel better? 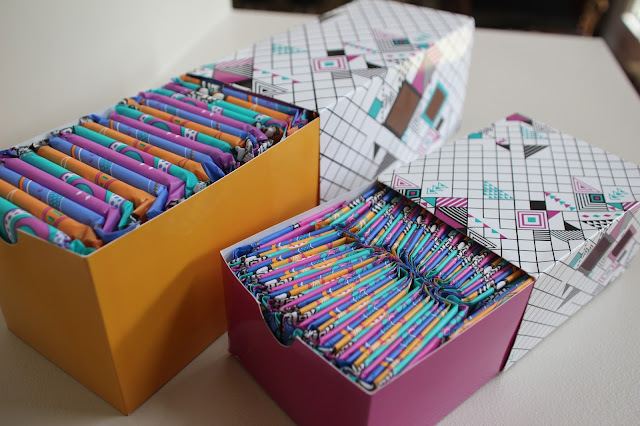 Personally, I’m not only super irregular in regards to timing/always randomly syncing with one of my 5 college roommates, but I’m one of those women who has to buy one of every box in the period aisle because I’m irregular in that regard too- grrrrrr. Plus, headaches, cramps, endless hunger and, worst of all, the most painful acne you can imagine! I’ve mostly stopped having acne between cycles, but when it gets super bad, my skin itself starts to ache. That’s when I pull together all the cosmetic troops for the world’s quickest and most effective facial! First, I take off my makeup using a clean/fresh makeup-removing towel. These are my absolute beauty holy grail because they are machine washable and therefore reusable! They not only work ah-mazingly, but I save SO much money on packs of throwaway wet wipes it’s ridiculous- and who doesn’t love that?! Especially when I find a set of three of them at Walmart for $1.50!!! Second, I grab an exfoliator. I know it seems a bit counterproductive to be roughing up sore and already irritated skin, but a gentle exfoliator (and this one is the gentle-est I’ve found yet!) is crucial to a deep clean and clearing out those angry pores! Third, I soothe any minor irritation that might’ve been cause by the exfoliating beads with a mask! This is also an extra nice step if my breaking out is stressing me out- I can’t see any acne, I know they’re being dealt with, and masks are inherently relaxing all on their own! 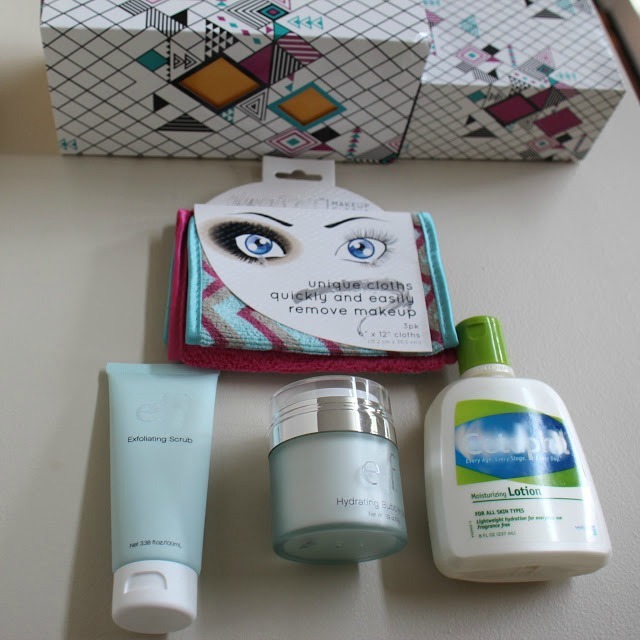 Fourth and finally, I top my cleansed skin off with as gentle of a moisturizer as I can get my hands on- those recommended for healing tattoos, scrapes, or other topical skin ailments can be used as extremely gentle facial moisturizers as well! Especially without any added scent or coloration, so they pretty much flat out refuse to clog any pores or add to any breakouts! I grabbed all of these particular doohickeys for the perfect ten minute facial at Walmart when I was there to pick up my U by Kotex® Style N’ Store boxes. As you know if you’ve ever seen once, Walmarts are HUGE. Basically, they’re perfect for one stop shopping when you’re in desperate need of a facial…or pain relievers for those headaches and cramps, or ice cream if that’s what you’re feeling, or $5 movie bins if you want to turn my facial idea into a full-blown night in! I love that Walmarts have literally everything in one place- there’s one 10 minutes away from my new job, so it was super easy to pop in, grab everything, and get home as soon as I started noticing telltale acne pains. Plus, as periods are so very personal, you can find the things that matter to you at your closest store! I’d love to hear What Matters to U in the comments below! 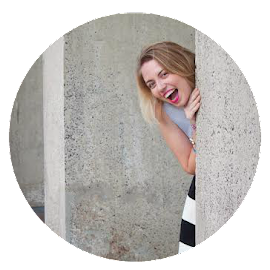 If you don’t want to chat about periods, let’s chat about how you feel better if you’ve got a cold or are dealing with stress! Give me allll the ideas, please!